Legacies.info : Does Your Life Plan Reflect Godâ€™s Character? Dr. Robert Clinton studied 50 Biblical leaders, 100 historical leaders, and 1,150 contemporary leaders before concluding that less than 1 in 3 leaders finish well. What character qualities distinguish leaders who finish well? It is very interesting to see how Clinton's six conclusions parallel the conclusions in the Reflecting God's Character book available for free on this website. See the chart at ClintonEndnote or click below to download the book. Below you can see 6 questions for every individual and each family. Answers to these questions are outlined throughout the pages of Reflecting God's Character. 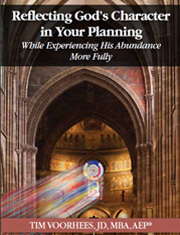 The book shows how wise advisers address spiritual and relational issues along with legal, financial, and other technical concerns as part of a holistic planning process. What resources do you have available (after taxes) to help you fulfill your calling? Can you articulate a clear purpose for your life, mission for your team(s), and vision for your future? Are your planning team members qualified and unified? Do your team members agree with your priorities (e.g., budgets and schedule) and principles? 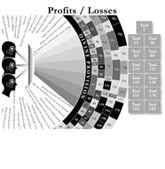 Have you implemented planning tools for growing your wealth tax-efficiently? 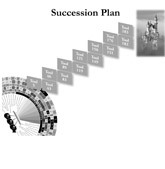 Have you prepared successor owners and managers? Can Your family Answers These Six Questions? How has God blessed your family across the generations with His Revelation and resources? How has your family pursued a vision and mission? How does your family seek wise counsel? What principles and priorities should matter most when making wealth management decisions? How do you feel about the risk, complexity, tax-efficiency, and effectiveness of the trusts, investments, and other planning tools that you have considered? How would you like to see your family and charities stewarding your wealth 100 years from now? Click to download a PDF of the book. Click to download a draft of the 2nd edition of the book. The Kindle edition of the book, pictured to the left, should be available later in 2019. When checking the box to the left, I am also requesting that you periodically send me information about free videos and articles from experts on Christ-centered life planning. If the book does not download, please email info@vfos.com. The creative process that gives each of us life also gives us resources for living life abundantly (John 10:10). Even if there is a dearth of financial assets at this time, believers have everything necessary to build the wealth needed to enjoy life fully. 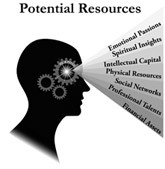 Everyone can pursue bigger dreams and a loftier vision when identifying and developing emotional, spiritual, intellectual, physical, social, professional and financial resources. Identifying and expanding one's wealth begins with reflecting on the available assets. Instead of focusing on just the opportunities created by money, believers should look at potential created by the availability of all of the above resources. The clarification of available resources is the first step in developing God-given passions and desires while guarding against taxes, creditors, and other outside influences that can erode wealth. For maximum focus when stewarding resources, everyone should reflect deeply on how emotional passions and spiritual insights can crystallize into a clear statement of God's calling. A person's calling may be his or her most valuable resource. Family, church, and government leaders help clarify purpose statements for individuals within the organizations. The leaders find optimal roles for constituents and unite them in pursuing a shared mission to leverage strengths and take full advantage of opportunities. Of course, the leaders need to allocate resources in a way that minimizes weaknesses and guards against threats. 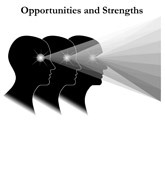 For more information about focusing on opportunities and strengths, while aligning team members with "WOTS MOST Important," see www.WOTSMOST.com. Each person's calling should be articulated in a purpose statement that guides educational pursuits and acquisition of knowledge needed to excel. Development of a person's purpose statement should consider the individual's skills, abilities, calling, and available resources. Individuals should reflect on realizing their purpose through discipleship (mentoring) with a focus on serving people in harmony with a higher calling. (See BiblicalPurpose. com.) Because each calling is unique, each person can develop unique skills to serve like nobody else. This focus on unparalleled service can help each person develop rich relationships. 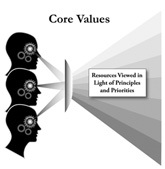 The passion and purpose cultivated during the first and second elements of planning should give rise to vision for progressively richer relationships across time. 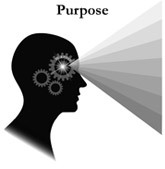 The life planning process should involve listening to God and prayer partners as each person defines a purpose statement with enough clarity to guide clear statements about goals (Element 4 below), selection of planning tools (Element 5 below), and the envisioned pathway (Element 6 below). The process can help focus planning most effectively when all advisers align their recommendations with Biblical teachings. Where Biblical teachings are not clear, advisers should pray until the Spirit leads decision-makers to agreement about the proposed spiritual journey. 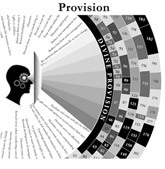 When an individual's quest toward the envisioned future is constrained by a lack of financial resources at Elements 4 and 5 below, or insufficient clarity about the spiritual pathway at Elements 6 below, this is often a sign that more time must be invested clarifying the third element. 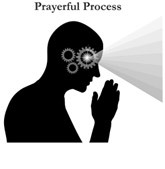 At the prayerful process level, when seeking insights from ministers, mentors, and other prayer partners, each person can develop the inspiration and courage needed to advance to higher levels. To use resources in accordance with a clear mission and vision, leaders normally need counsel from advisers. 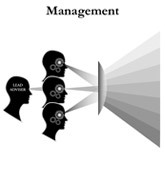 Leaders also need to operationalize plans through managers. This usually results in a hierarchical process involving a board of wise counselors that guide the leaders in choosing, training, monitoring, and rewarding the management team. Members of the team have authority and accountability to put plans into effect. They also have a reporting and appeals process that helps provide information about daily operations to an advisory board. When designing advanced plans, leaders should establish a board with clear leadership from an experienced adviser who understands how to coordinate the roles of each person on the planning team. At any time that the organization (whether a married couple, a church body, or other group) lacks clarity about a God-honoring mission and vision, an experienced facilitator should help leaders renew commitment to an inspiring mission and vision so that organization can effectively define core values (Element 4), integrate planning tools (Element 5), and maximize hope of a secure and fulfilling future (Element 6). Principles are generally timeless truths that foster virtue. Priorities are goals that may evolve in response to changing tax laws, asset values, or needs. The goals can and should normally be articulated in cash flow statements that illustrate expected sources and uses of cash. Ideally, advisers should meet periodically to confirm that there is agreement about goals, gauge success in achieving goals, and-if necessary-adjust goals using the process described above. Advisers should quest to clarify details about SMART goals. Such goals are Specific, Measurable (quantified), Attainable, Reasonable, and Timebound. SMARTER goals consider Emotions and Resources. That is, you should envision how you will feel using available resources during the pursuit and achievement of the goals. 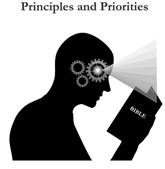 As stated above, principles are generally timeless truths that foster virtue. Priorities are goals that may evolve in response to changing tax laws, asset values, or needs. The goals can and should normally be articulated in cash flow statements that illustrate expected sources and uses of cash. Ideally, advisers should meet periodically to confirm that there is agreement about goals, gauge success in achieving goals, and-if necessary-adjust goals using the process described above. In a corporate setting, leaders should inspire members of the team to pursue virtues like excellence, accountability, integrity, and service, as well as a shared commitment to profitability, client satisfaction, and growth. These ideals parallel elements of the covenant. Living in accord with the first four elements of the covenant usually leads to abundant provision. Likewise, failing to honor covenantal ideals often results in negative consequences. Of course, planning should focus on positive outcomes. Such outcomes will often be most fulfilling when we seek divine provision while using manmade planning tools to achieve what is possible through human efforts. Such planning tools include a variety of legal, financial, and technological instruments. For example, project management software and wealth optimization programs can help maximize provision. Leaders can provide for managers and other beneficiaries using legal and financial tools. Covenantal elements above will often guide how the leaders design, draft, and fund these tools. During the initial design phase, the leader and his/her counselors will typically see that taxes will seriously erode the accumulation of wealth unless legal instruments are tax-efficient. Increasingly tax lawyers guide the drafting and funding of legal instruments to maximize the after-tax provision of wealth. Wise lawyers will design planning tools to minimize the negative consequences of taxes while maximizing the likelihood that families, churches, and other organizations will build value while preserving the values that contributed to the accumulation to wealth. 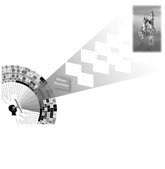 Planning tools defined in the fifth element of planning can form cobblestones on a pathway that advances toward an ideal image of the future during the sixth element. This image may be an amalgam of photos depicting financial freedom during retirement years, warm times with family, realization of business goals, success in helping children through college, or effectiveness in passing on values to the next generation. Through proper planning, there can be ample wealth available for enjoying the quest along the pathway to the Pathway envisioned future. This journey can have broad spiritual ramifications as the questing builds character, fosters clarity, and promotes mature modeling to others watching the journey. Planning documents with covenantal elements must be maintained across time. This maintenance process typically involves training successor managers and/or trustees. The most practical training usually includes discussion about the stewarding of assets in the trust for the purpose of empowering beneficiaries, building corporate wealth, or funding charities that perpetuate core values. Leaders can use advisory team meetings to prepare heirs and update project management pathways that extend across the generations. The process of preparing successor managers and beneficiaries helps organizations preserve, protect, and transfer the most meaningful legacy. Click to learn how to redirect tax money to trusts for your retirement, family, and favorite charities.